Ah, pyro. Pyro pyro pyro. How SPUF can’t seem to make up its mind about you. 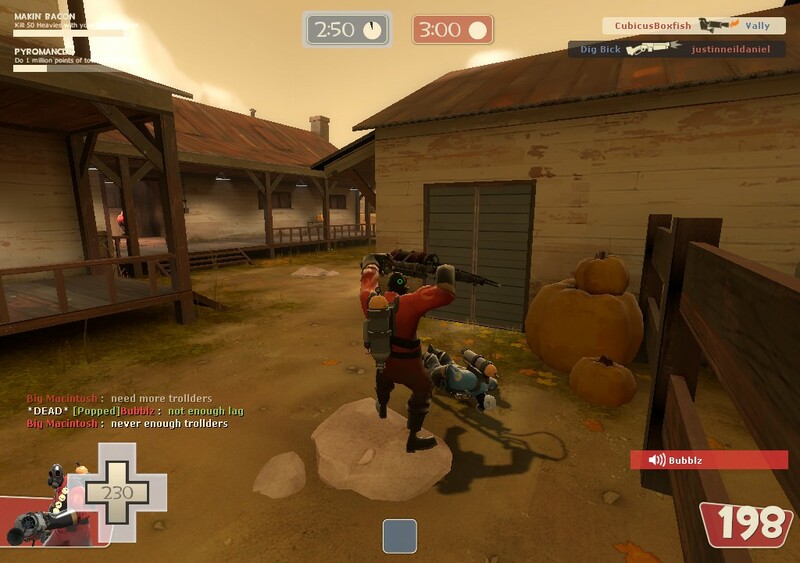 If it’s not that, its the ability to remove sappers from friendly buildings, or the ability to gain full health+crits with Phlog, or the ability to…basically do anything. 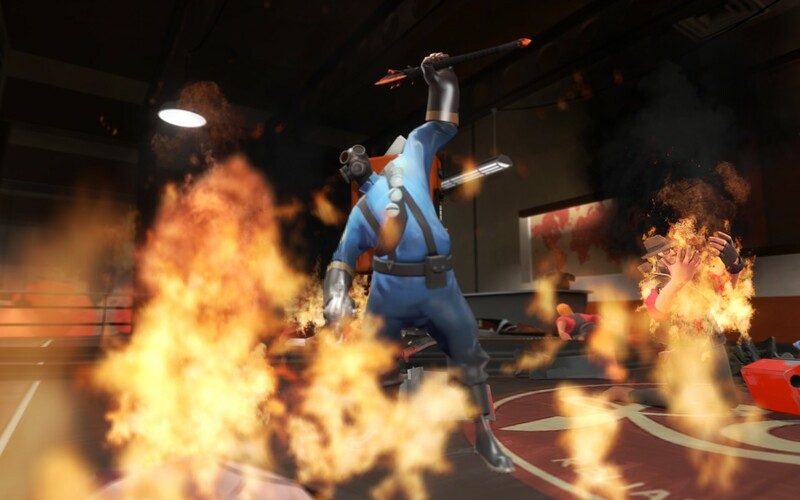 If Soldier is TF2′s jack-of-all-trades, Pyro is its master-of-none. So I’m here to end all that. The reason nobody thinks pyro is balanced…is because they aren’t using the right loadout. I present to you; the Degreaser-Manmelter-Sharpened Volcano Fragment-Jingle Belt. Seriously. 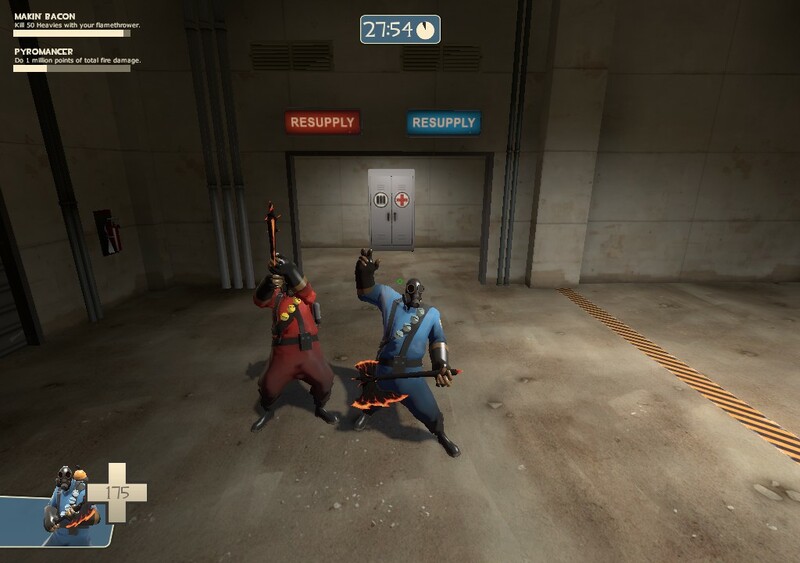 I’ve NEVER seen this loadout in years of TF2. Must be a well-kept secret. You will plow through the noobs with this loadout. Let’s go through the ingredients one by one. 1. Degreaser: I’m sure you’ve heard everyone say that degreaser is the best primary. So this is a no-brainer. Spamming the degreaser against an enemy outside your spawn while you have a pocket medic in spawn is an optimal way to get kills with this loadout. 2. Manmelter: Manmelter makes up for the fact that degreaser has reduced afterburn; after you light them with the degreaser, hit them with the Manmelter to get increased afterburn damage. PLUS you can save your degreaser ammo by extinguishing teammates and earn flare crits for your trouble! 3. Sharpened Volcano Fragment – Compared to the stock fire axe, the fragment is basically a straight upgrade. Think about it; one deals a bit more damage, but this one sets them on fire, meaning it deals more damage-per-swing than stock does due to afterburn. 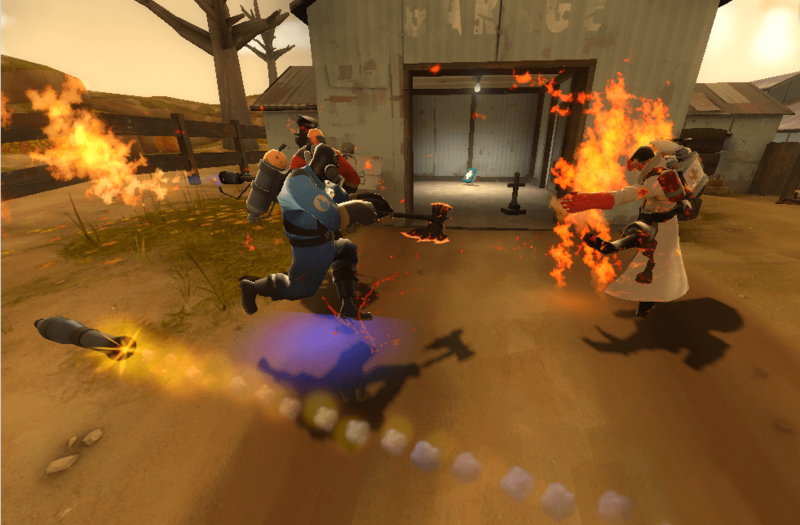 Hey, I’m hitting your medic with my flaming axe. You should stop me. Too late. Jingle Belt: The most important part of the set. The Jingle Belt makes you jingle all the way, which gets you team attention, medics, and causes enemies to look at you. This makes it easier to airblast their stuff, airblast them, and in general sow incendiary chaos. So go try this loadout and fall in love with it. Lord knows I did.